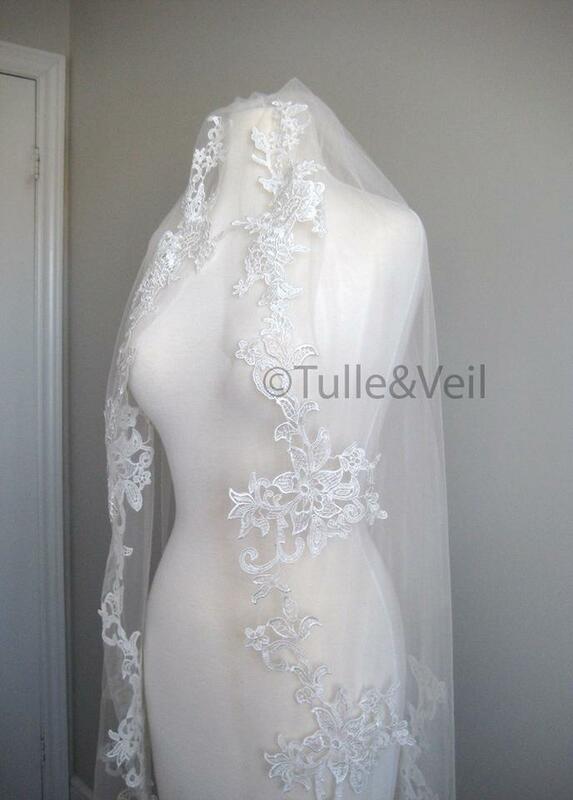 Brand new, single tier ivory veil. 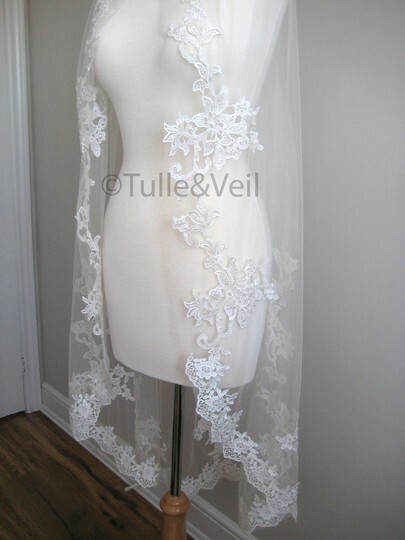 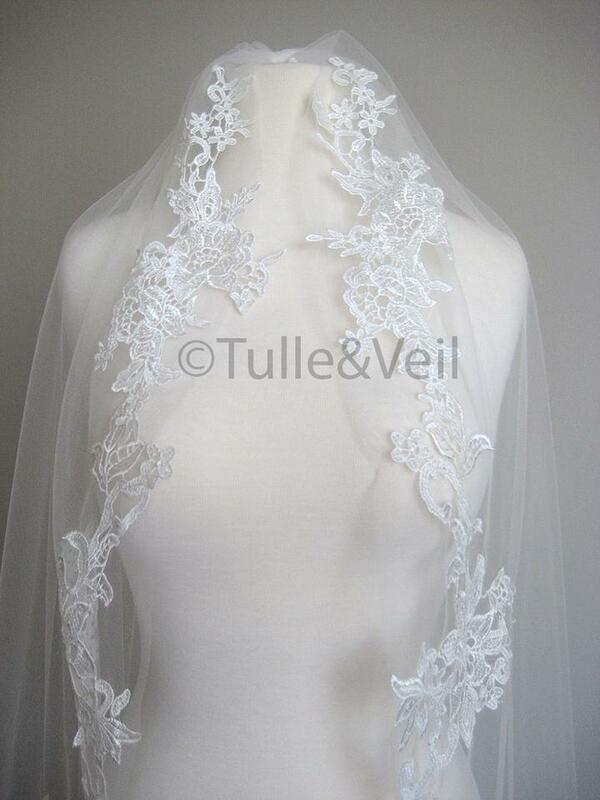 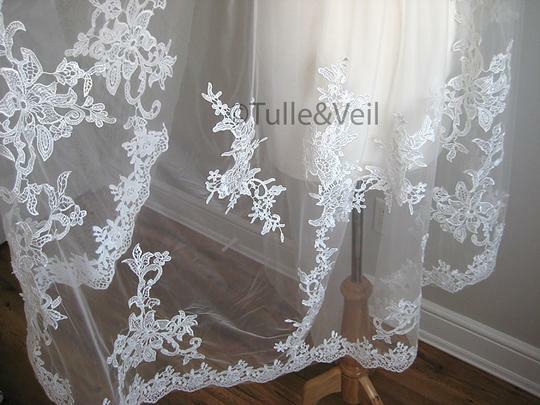 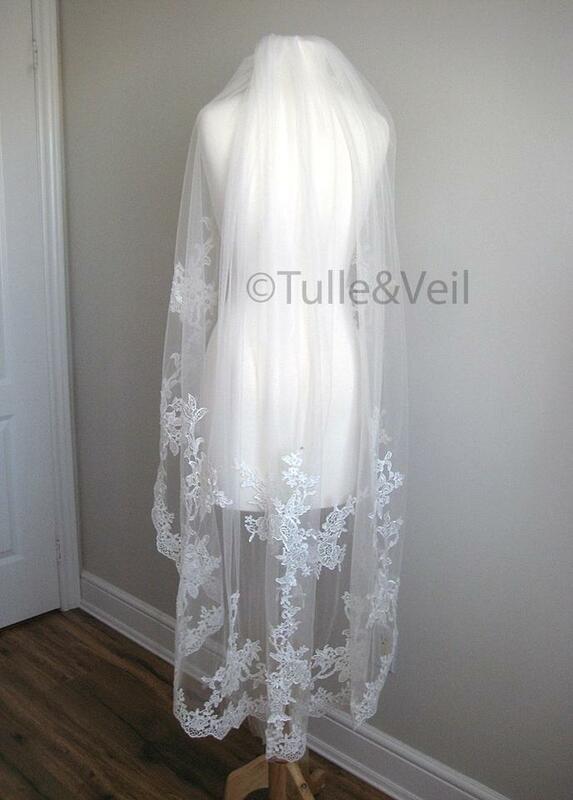 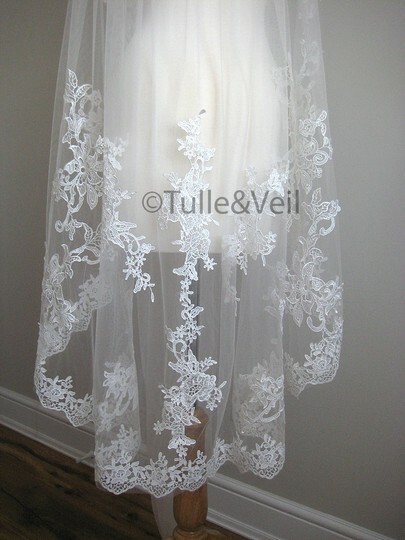 The veil is made from very soft tulle with a metal comb. 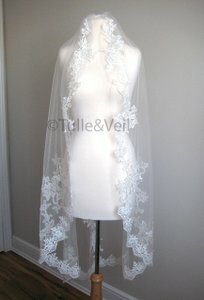 The tulle measures roughly 52" in length, with laces starting at the comb.